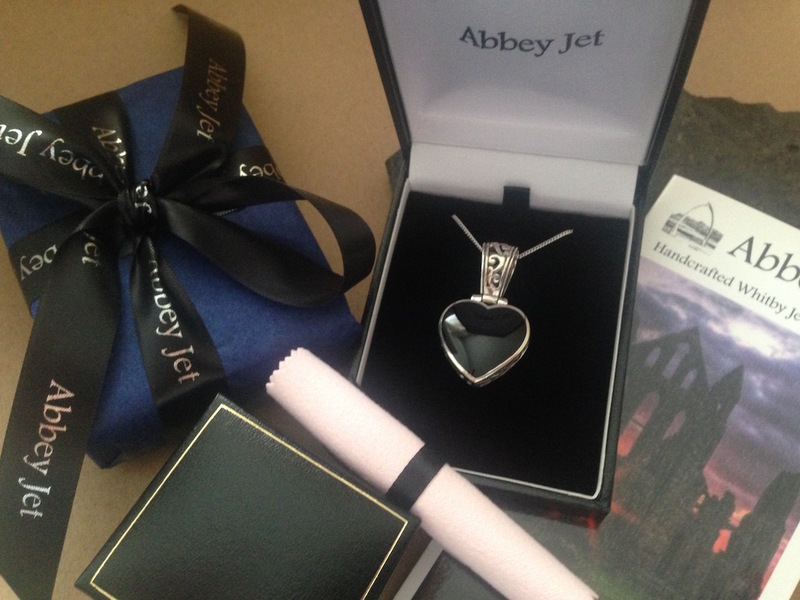 Every item of jewellery will arrive in a classic black leatherette jewellery presentation box with a complimentary jewellery polishing cloth and a glossy booklet all about Whitby Jet and our jewellery. Every item is carefully packed so that it will arrive in perfect condition. Our presentation boxes are solid and very sturdy so that items will not be damaged in the post. For a small additional charge, any item can be gift wrapped on request. We use high quality tissue paper and ribbon and offer a choice of four colours. A personal gift message can also be added. To add gift wrap to your order, before you go to the checkout, simply select ‘View or Edit your cart,’ choose your preferred colour and write your gift message.